Macomb Community Action’s Individual Development Account (IDA) Program provides participants with an opportunity to build resources with the goal of purchasing their first home in Macomb County. People enrolled in the program make monthly contributions into a separate, designated IDA bank account. Macomb Community Action will match your savings up to $1,000 at a 3-to-1 ratio. The combined funds are used for the down payment and closing costs on the purchase of a first home in Macomb County. As part of the program, you must also complete home-buyer and financial education seminars. Must be a current Macomb County resident. Must have reasonable consumer credit or readily repairable credit. Open a special savings account at a designated bank and deposit a minimum of $20 per month. Macomb Community Action is a custodian of the matched funds account. Attend budgeting seminar and authorize a credit report.  Attend specific home owners training seminars as authorized by Macomb Community Action. Maintain “Participant in Good ­Standing” status by making regular monthly deposits and continuing to meet program activity requirements. Participate for a minimum of 6 months and a maximum of 24 months. Participants save $1,000 and Macomb Community Action will provide match funds of $3,000. Be an informed home buyer. Obtain vital information on home ownership. Have an understanding of personal credit concerns. Have the funds to purchase their first home. Have had a positive home buying experience. Continue to have access to the Macomb Community Action IDA Case Manager for assistance and referrals.